The AACB has produced an annual performance report for almost two decades. These reports have enabled AACB’s members to benchmark their performance on a range of dimensions. In recent times, the AACB has developed a new data collection system which allows key market intelligence to be shared frequently with its strategic partners and government stakeholders. Business events are unique in that they are the only tourism sector that provides a vision of confirmed future business. 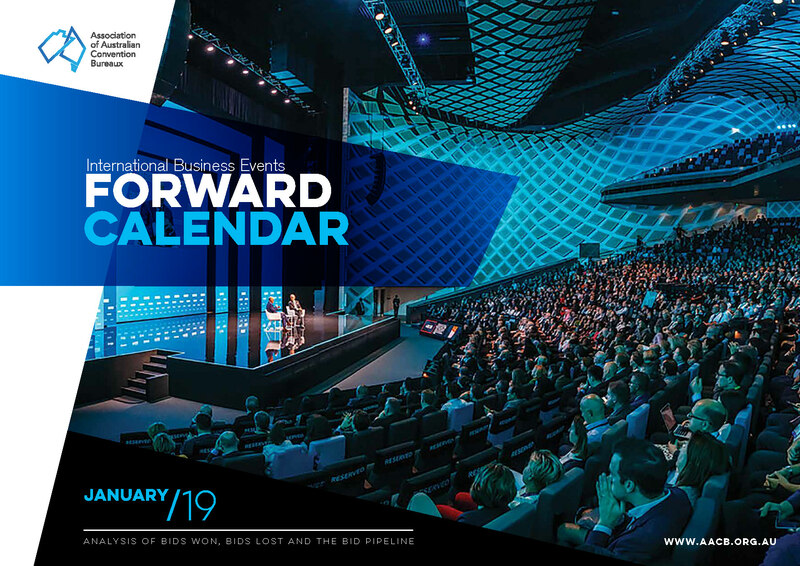 AACB’s Forward Calendar outlines international business events attracted to Australia by convention bureaux across the country. The full calendar list of events accompanying the report will be made available to AACB stakeholders and partners in hard-copy form. If you’re interested in receiving the full calendar list, please enquire at info@aacb.org.au.